We believe in the End-time call of the Church to be a house of prayer for all nations with night and day prayer and worship like in Tabernacle of David. Our Church has been committed to regular prayer meetings for revival since 2002. We believe there is something special for the whole family at Christ For All Nations that is why we encourage your whole family to come. Children are our future and we place great value in helping them learn the truths of the Bible from a young age so that they will live their lives to the fullest in God. Our children’s ministry time for ages 4-12 starts after the praise and worship is finished. Please bring your children for the first part of the services during the singing and after that we pray for all the children before they head off to a classroom for their service. At the encounter people will hear Biblical truth concerning various topics such as curses, family, sexual purity, rejection, etc., and receive personal ministry and prayer from experienced leaders. Given that the encounter is such a power-packed weekend, we encourage each person to attend classes in preparation for the encounter. If you are unable to attend the classes because you live out of state, or for another reason, we recommend that you listen to the teaching online or on CD. We encourage you to sign up for the next Encounter and start living for God. The Encounter is one step on the ladder of spiritual growth that we provide at CFAN. Each attendee is encouraged to continue with Post-Encounter classes. Afterward, people have the opportunity of attending the School of Ministry. We believe that every believer can serve the Church, and our goal is to help every believer fulfill their God-given destiny. In a short period of time a person’s life can be dramatically changed, and the Encounter retreat is a place where you can start your journey with God. Christ for all Nations is a missionary church. Our desire is to send out missionaries, plant churches and gather multitudes of people from all nations, as far as God leads. Currently, the missions function of the church consists of one to two week missions trips to places such as Israel, Russia, Latvia, Estonia, and Ukraine. Our pastors and leaders, along with ministers from other churches, lead Encounter retreats for local churches in these areas. These retreats help set people free and inspire entire churches to reach their communities for Christ. Sending out missionaries and raising up evangelistic churches are core values at CFAN. We also partner with pastors in different cities around the world who are committed to reaching the lost and equipping believers. 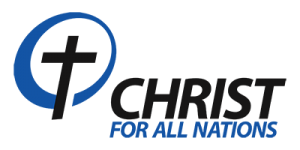 Christ for all Nations is an evangelistic church, and we believe that sharing our faith and winning souls is a lifestyle. Personal one-on-one evangelism is the main focus of our outreach. Our access to the city may at times be limited in evangelism, but our access through relationships is unlimited. That is why we encourage every believer to arise, get trained and reach their own personal world and sphere of life for Christ. We also visit the sick and elderly. We go on the streets to feed the hungry and help those in need. We distribute Christian newspapers and gospel tracts, print Christian articles in public newspapers, participate in community events, run gospel spot advertisements on public radio; hold evangelistic crusades, services, parties, festivals, picnics and more. We are committed to reaching people with the gospel and we are growing our ability to do so.